The Prince Online Museum was created for the purpose of establishing and maintaining a library of official online projects initiated by the musician, Prince. We wish to acknowledge his 20 years of ground-breaking, provocative, and fiercely independent use of the internet to establish a direct connection between an artist and his audience. 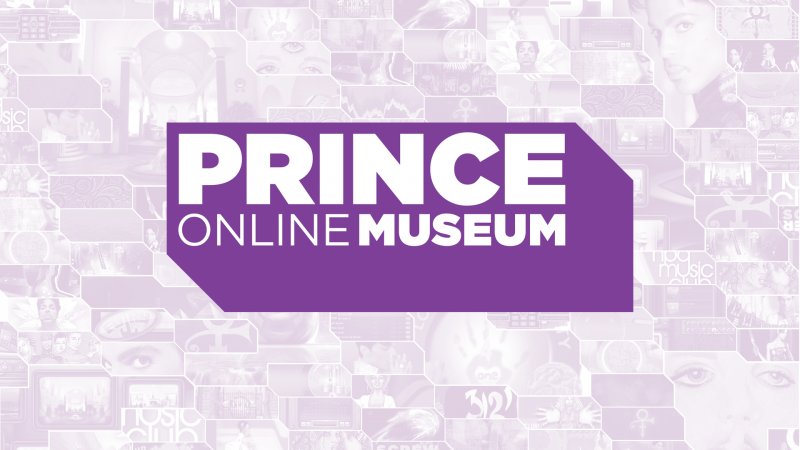 The Prince Online Museum encourages the study of the arts online in order to connect people to creativity, knowledge, and ideas. We hope to inspire current and future generations of artists to seek their own creative alternatives to reach their audience. The Prince Online Museum supports the PRN Alumni Foundation. The PRN Alumni Foundation, officially formed in 2017, is comprised of former employees of Paisley Park and the international icon Prince. The group’s mission is to continue the generosity of their late boss who supported opportunities for underprivileged youth to grow in music, tech, arts and education, and helped alumni members in-need. The foundation also supports urban farming initiatives that create sources of healthy foods where they are otherwise scarce. We encourage you to find out more about them. The POM is not connected to or endorsed by the PRNAF.